These two small paintings are good examples of the "light rule". Got Milk has warm light and cool shadows and Piglet is the reverse, cool light and warm shadows. While driving nears High River, Alberta we came across the amazing cow with her beautiful markings. In hindsight I wish I would have taken many more photos of her. 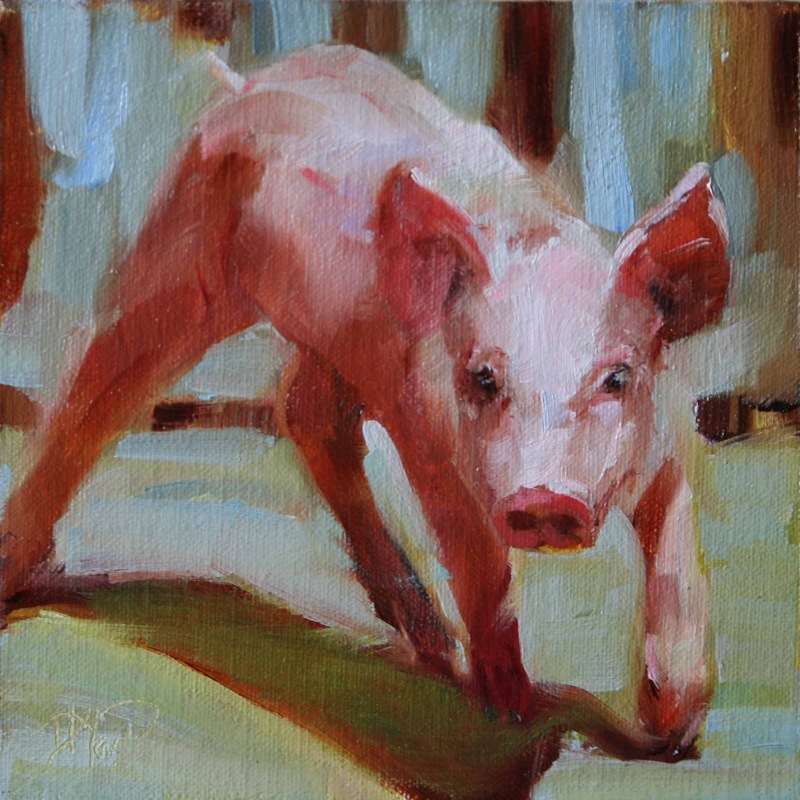 The little piglet was photographed while at Butterfield Acres this past summer. beautiful, I love the colors in the cow painting! This is marvelous artwork. You have made each painting, each animal look like a fresh and new creation. Beautiful! Hi Kyla - thanks so much for your comments. 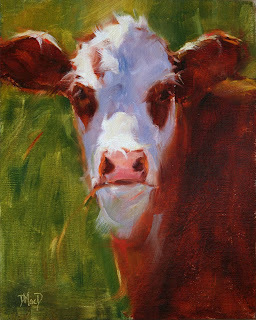 Cow's are so much fun to paint!! They all seem to have such personality! Charming blog, you seem to have managed to keep this fresh spirit about you that stays alive in your finished piece. Nicely done all the way around.